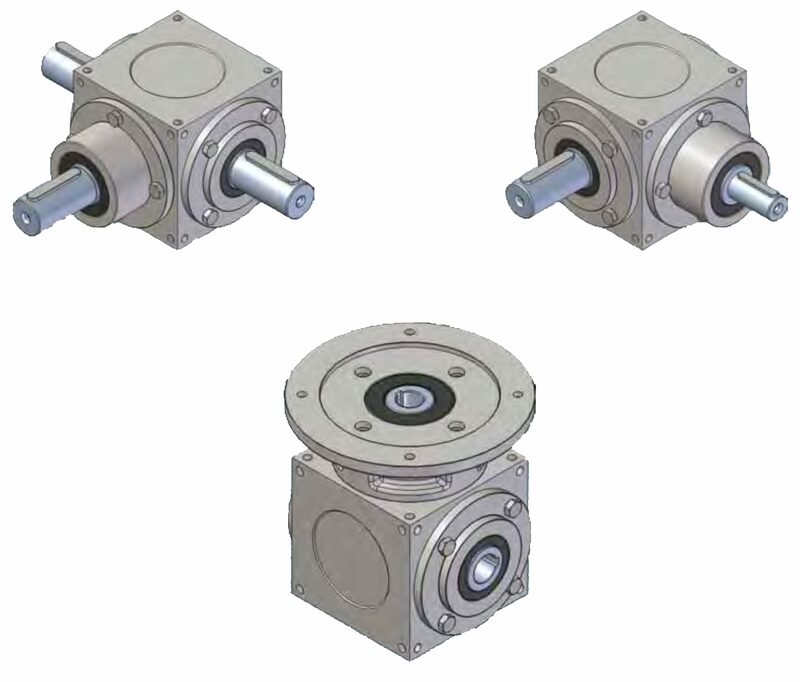 gearboxes are suited also for operation with high input speed, up to 3000 rpm, with low noise level and high efficiency. The cubic shaped housing is machine finished on each side, allowing the highest flexibility in positioning and mounting. The modular system makes different versions available, with additional outputs up to 6 shafts. 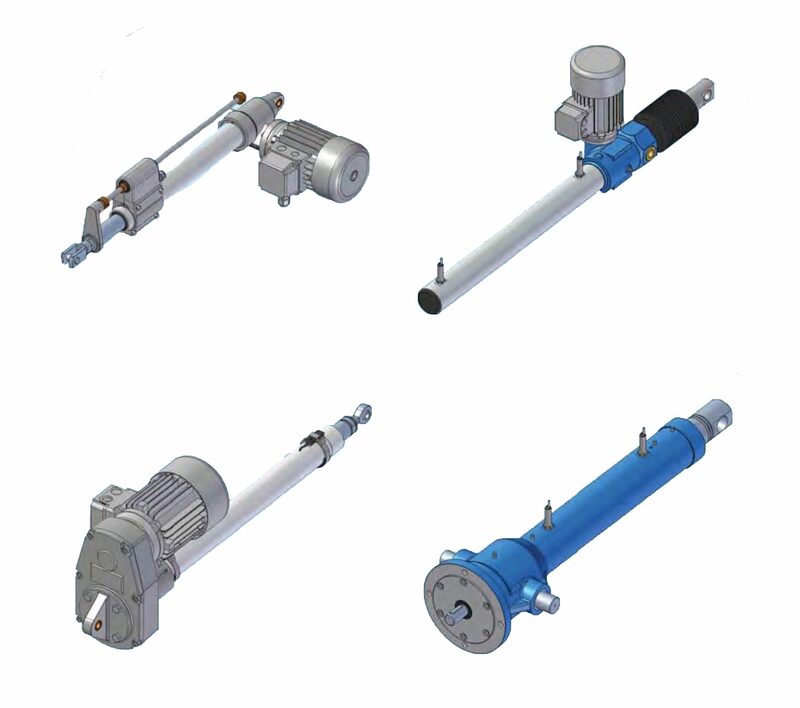 Design forms available with solid input and output shafts, with solid input shaft and hollow output shaft, hollow input shaft and flange for electric or hydraulic motor. Several constructive designs allow the realization of different kinematic schemes to adapt the directions of the rotation as required by the application. Output shaft angular backlash: standard max. 10arcmin; on request controlled and reduced backlash, averagely less than (5 … 6)arcmin. Tapered roller bearings standard on all solid shafts and hollow output shaft; ball bearings on hollow input shafts for motor flange execution. Long-life grease lubrication for applications with low input speed (see table on page 41) and not exceeding the thermal power limit. Synthetic oil lubrication on request and in case of input speed as shown in the table on page 41. Industrial strength heavy duty linear actuators, standard strokes to 800mm, AC/DC or servo motor, thrusts to 45kN, speeds to 290mm/sec.